Wreck havoc and fly helicopters into each other! But be careful of Sharks that'll take you down, flock of birds that'll stall your engine and planes that'll cover your view! 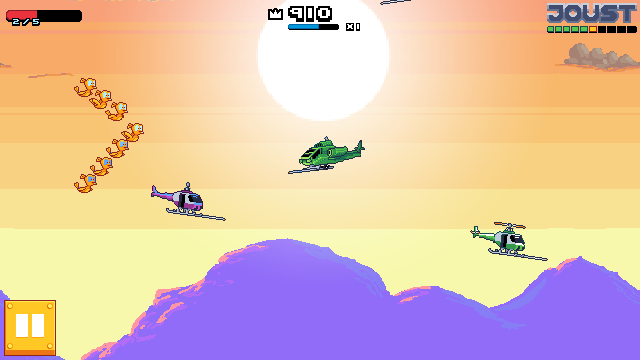 Jousting helicopters will earn you points and coins, and if you're lucky, a chest token to win perks! Level up by jousting to increase the points you earn and go for the high score! Daily rewards are also available to the loyal heli-jousters. 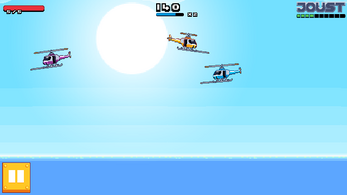 Super Heli-Joust is a recreation of the first game I made under the name DaniconShow. Remade for Android Smartphones for on the go, relentless fun. Tap and hold the left or right side of the screen to fly in the respected directions and upwards, release to slow down and descend. 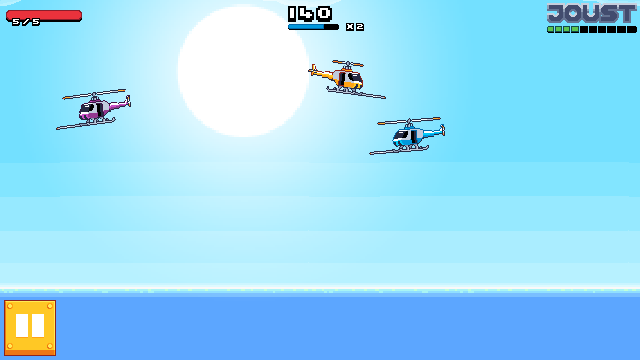 Fly and full speed to Joust enemy helicopters. Fly fast and joust hard!